Production of this world renowned Islay Single Malt is started off by drying malted barley over a peat fire. 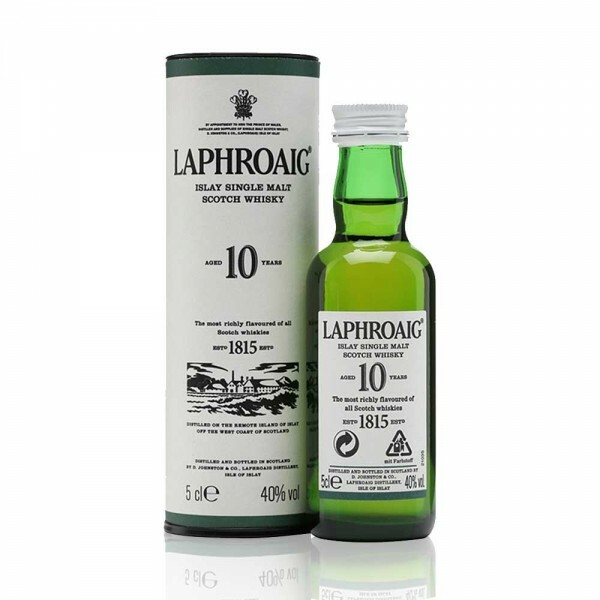 The smoke provided from the fire is central to the process of creating this warm, flavoursome and full bodied earthy Scotch. Try serving it with a few drops of cool water to bring out all its flavour. A fun-sized 5cl miniature version. Choose it in our Pick n' Mix Boxes for a great gift.